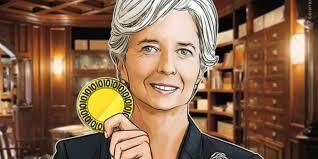 Less than a month ago, IMF Chief Christine Lagarde had publicly called for a crackdown on Bitcoin and other cryptocurrencies, and even suggested that both governments and the banking cartel use the Blockchain against decentralized cryptos. Now on April 17 it appears that Lagarde has flip-flopped when she wrote in a blog post that Bitcoin could actually be beneficial to the global financial system. As we at The Daily Economist have always advocated, when The Powers that Be cannot destroy something, their next step is always to try to co-opt it.